The 39th Chief of Staff of the Army Gen. Mark A. Milley has called readiness “our No. 1 priority, and there is no other No. 1.” As the world becomes increasingly complex, it is difficult to predict the next challenge to American interests and, therefore, difficult to prepare our Army for what may lie ahead. So we must be prepared for anything, anytime, anywhere. Whether we are fighting the Ebola virus in Liberia or fighting the spread of the Islamic State group, the nation continues to ask the Army to perform a diverse number of combat and noncombat missions. The increasing complexity we face does not negate our responsibility to meet the needs of our nation, however. Where the Army once prepared for what was termed AirLand Battle, we must now prepare leaders to be creative and adaptive in order to thrive in chaos and ambiguity. To build readiness, our policies, procedures and culture require the Army to prepare today’s leaders for future challenges. Efforts are underway at the U.S. Army Training and Doctrine Command, Materiel Command, Human Resources Command and Medical Command to enhance the Army’s overall readiness posture by doing just that. 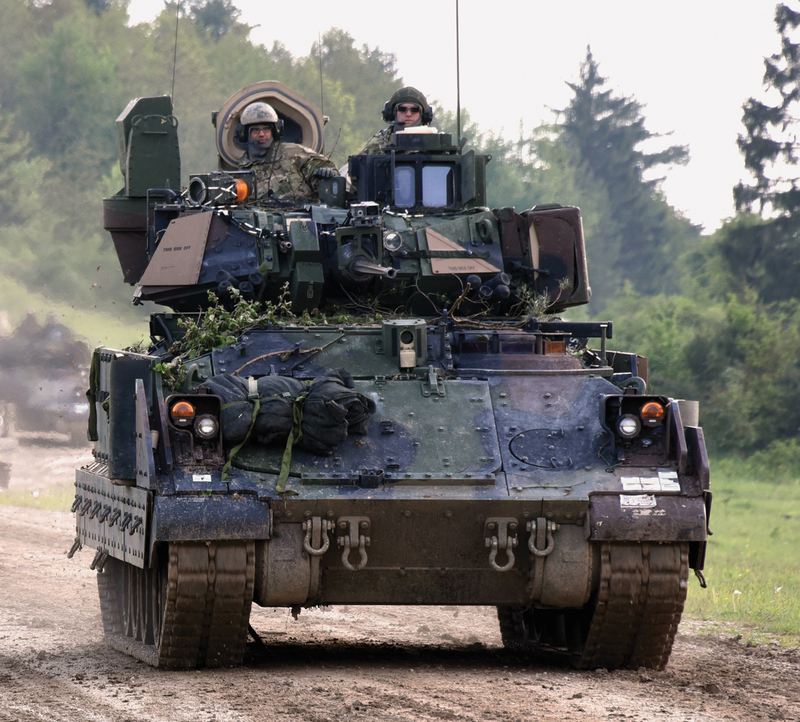 A Bradley Fighting Vehicle returns to its assembly area after a training exercise in Germany. In a future marked by uncertainty, the individual, the team and the institution all need to understand the responsibility each has in making our Army a force fit to fight and able to deter our potential adversaries, assure our allies and defeat our enemies when called to do so. I often say we win wars between 6:30 and 9 a.m. By this, I mean a team that does challenging physical fitness every morning will also be a team that is better postured to accomplish the mission. I have seen how physical training can bond individuals into teams like no other experience other than combat. When I visit units all over the world, I make a point to do physical training with them. Over the last year, I have observed that when PT is tough and realistic and the leaders and soldiers are enthusiastic about it, you can expect better overall performance and efficiency from the organization. PT prepares the team—body, mind and spirit—for the challenges of the day and those of the future. 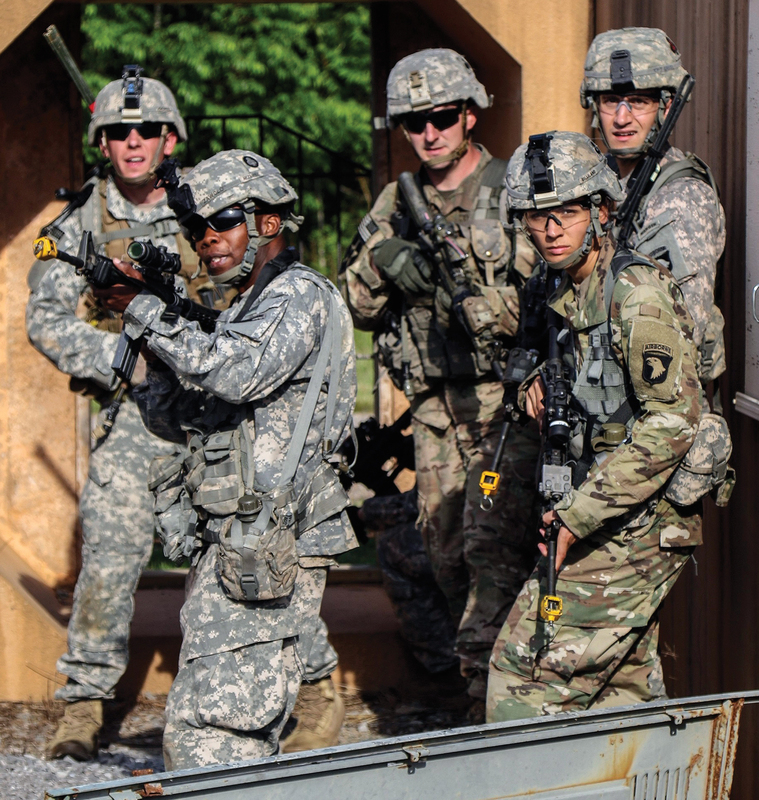 Training at Fort Campbell, Ky., are soldiers with the 1st Brigade Combat Team, 101st Airborne Division (Air Assault). I believe cohesive teams will thrive in the ambiguity we will face in the future. For that reason, physical fitness is an indicator of the overall readiness of a unit. Building cohesive teams through tough, realistic training sets the tone for the day and the organization, reduces conduct issues, and gives leaders more time to focus on improving warfighting skills. The result is soldiers who are mentally, emotionally and physically fit to withstand the rigors required as members of the profession of arms. What are soldiers for? The answer is simple. Soldiers are warriors who must be physically and mentally prepared to fight and win our nation’s wars when called upon by our leaders. We must be able to not only deter and defeat our adversaries; we also must assure our allies we are prepared. 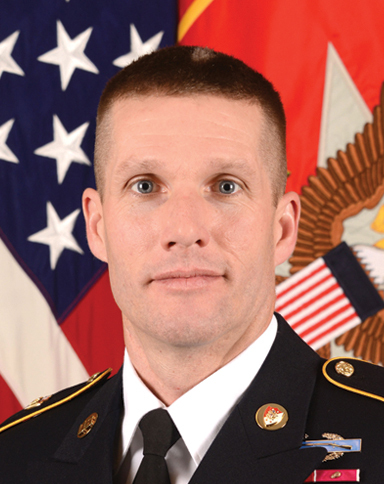 Each and every soldier has the responsibility to maintain individual readiness and with the scale and pace of the Army’s downsizing increasing, each soldier’s significance also increases. We need every soldier ready to accomplish his or her assigned mission because every soldier on our team counts. We have a significant number of soldiers who are nondeployable. The causes vary, but the primary reason they cannot deploy is due to a medical issue, typically a temporary illness or injury. No one will argue we need soldiers and leaders focused on building readiness on their individual and collective tasks, but we also need to closely monitor medical readiness. Medical Command is in the midst of redesigning its personnel readiness reporting system, which will help us develop a clear picture of our true readiness state. It will allow commanders to have more control over their soldiers’ well-being and also help keep soldiers accountable for their own health and fitness as they relate to their deployable status. Improving how we track and report individual medical readiness allows for action on the part of the commander and the individual. To that end, we have instituted the Commander Portal, a mandatory digital tool for commanders and health care personnel that consolidates data into a single place, enabling intervention by commanders on individual and unit readiness. The portal gives commanders the ability to manage deficient individual medical readiness issues, determine deployable statuses, and communicate with health care providers concerning issues with their soldiers. 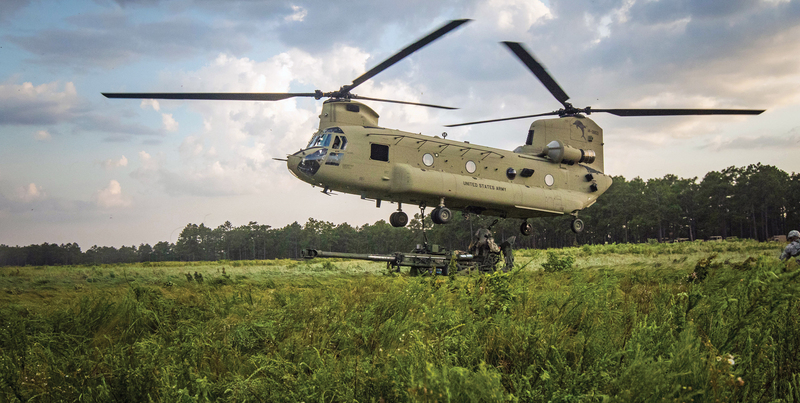 Airborne artillery soldiers train at Fort Bragg, N.C. Investing in soldiers’ training and education not only builds readiness, it is also an investment in our future as an Army. Our soldiers have and continue to receive the best training and education in the world. Our NCO corps is the undisputed heavyweight champion of the world at what it does. For over 240 years, the Army has demonstrated the need and value of a professionally trained and educated enlisted force. Since its inception in 1775 until today, the need to decentralize operations on the battlefield has increased incrementally. From the linear formations used during the Revolutionary War to the widespread operations of World War II to the complex decentralized operations of the current fight, we have and will continue to ask more of our soldiers and NCOs. Our soldiers have demonstrated their ability to take on increasing levels of responsibility, and they have prevailed. This is not happenstance. Our soldiers have been able to bear this additional weight and succeed due to the decades of investment made in them by the Army and our nation. Today, that need still exists—and, one might argue, it is expanding and will continue to do so. First and foremost, we must continue to invest in soldiers by providing them with the best training and education possible through innovative programs such as NCO 2020, Army University and the One Army School System. These programs and initiatives will increase the lethality and capability of our enlisted force well into the future. Secondly, we must capitalize our investment by continuing to find ways to expand equivalent civilian credentials and academic accreditation for the world-class training and education the Army provides. Credentialing and collegiate accreditation of enlisted programs is an investment in our future as an Army and demonstrates to the American people the value of service beyond service: soldiers for life. The Army must also anticipate changing conditions and focus readiness efforts on staffing, equipping, training and developing soldiers in advance of the day’s fight. No American soldier will ever go to combat unready for the brutal and unforgiving environment that is ground warfare. Beginning with accessions through basic training, service and then transition, we must guarantee the American public that our soldiers and our Army remain ready to answer the nation’s call.